To build a foundation for excellence and encourage the development of the university by igniting and promoting enthusiasm, interests and passion in the study of physics. The Department aspires to provide the best scientific methods in teaching the basic principles of physics, both theoretical and experimental and puts most of time to keep the level of education and scientific research. Welcome to the department of physics, Bangladesh University of Textiles (BUTEX). The department of physics has started journey as an independent since 2015. Physics is the most fundamental of the sciences that employs rigorous logic, mathematics, experimentation, and critical reasoning. Physics Department design courses theoretical and practical to equip undergraduate student to develop the basic scientific skills in textiles. Our Physics Lab is organized on mechanical, optical, electrical, and thermal based experiments. The teachers of this department with high professional, intellectual and ethical standards are actively engaged in teaching and research. Our mission is to provide basic physics in the area of Textiles Physics to fulfill the demand of the country. We are strongly committed to both teaching and research excellence. Configure a basic of physics curriculum and smooth study plan. Provide a sophisticated level of physics education for teaching of undergraduate and graduate studies. Work in the completion of applied research, basic scientific research, experimental (theoretical and applied). Support and encourage the scientific cooperation between faculty members in the department and cooperation with other departments in the field of multi-purpose research. To awaken the young minds and discover their talents both in theory and in practical physics. Spread the spirit of competition and encouragement and give the opportunity to all students. To develop strategy in the department for continuous improvement. 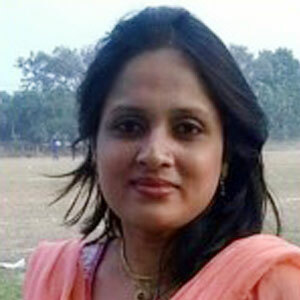 Dr. Hasina Akther, Assistant Professor and Head, Department of Physics under the Faculty of Science and Engineering, is specialized in Plasma physics. She joined Bangladesh University of Textiles in 2014. Before that she worked Bangladesh Jute Research Institute (BJRI), as a Scientific officer in 2005 and Senior Scientific Officer (CC) in 2012. And in that capacity she served the BJRI till 7 May, 2014. In BJRI she experienced in Testing and Standardization department using Universal Instron machine, DTA, TGA, Abrasion Tester, Drape co-efficient, Moisture measurement machines etc to standardize and improve textile. In PhD research she characterized structural, optical, electrical (AC and DC) properties of Plasma polymerized N,N,3,5 tetra methylaniline thin film using FTRI, EA, XPS, SEM, DTA/TGA, Edward coating unit, impedance analyzer etc. Moreover she has also keen interested to research ‘Low-temperature plasma treatment in textile preparation and finishing’. She is the member of Academic Council of BUTEX, BUTEX Teachers Association, and life member of Bangladesh physical society (BPS), BJRI scientist society. 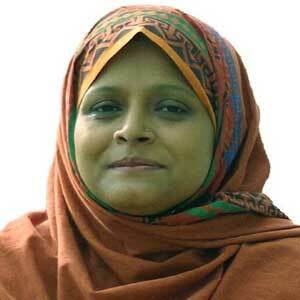 Dr. Hasina Akther was born at Lakshmipur, Bangladesh on 10 June 1976. She obtained his B.Sc. (Honours) in 1997 (examination held in 1999) and M. Sc. in 1998 (examination held in 2001) in Physics from Jahangirnagar University, Dhaka, Bangladesh. She secured 1st Class 1st Position in M.Sc (Thesis group) in Physics. She received his M.Phil degree in 2004 and PhD. degree in 2011 from Bangladesh University of Engineering and technology (BUET), Dhaka, Bangladesh. She awarded the Post Graduate Research fellow from Bangladesh Council of Scientific and industrial Research (BCSIR), Dhaka and Ph.D Fellow from Dutch Bangla Bank Foundation. Her special interests are to perform research on advanced Physics including surface modification, plasma polymerized thin film preparation, maintenance and quality control of the textile processing technology. She has many publications in the reputed journals and seminar, conference presentations. Space charge limited conduction in plasma polymerized N, N, 3, 5, tetramethylaniline thin films, Thin Solid Films, 488 (2005) 93-97 (www.elsevier.com/locate/tsf). Study of Adsorption of (CH3)2S on Cu(111) Surface, Jahangirnagar Univer. J. of Sci. 32(2) 2009, 95-100, Bangladesh (JUJS, ISSN 1022-4594). Md. 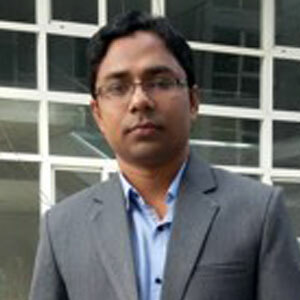 Harun-Or-Rashid is presently working as a lecturer of physics at Bangladesh University of Textiles (BUTEX). In 2015, he started his career by joining the faculty of the Physics Department at this university. His passion is to be better than he was yesterday. And when he was younger, he always wanted to do something in future life which he will enjoy over the rest of his life, and he thinks this is a very beautiful and enjoyable profession for which he is here. He is very dedicated to his profession, and enjoys sharing his knowledge and experience with others. Mr. Rashid has obtained the M. S degree and the B. S degree in Physics from Dhaka University. 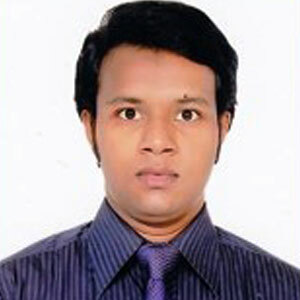 He is currently pursuing the M. Phil degree in Physics at Bangladesh University of Engineering and Technology (BUET). Mr. Md. Hedayet Ullah started his research work under world Bank- HEQEP- AIF- UGC project in LASER monitoring of environment when he was a student of M.S. 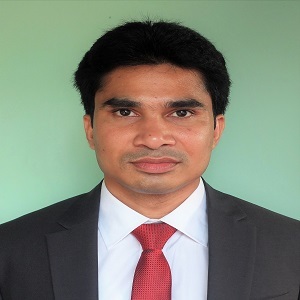 Having a long-standing interest in teaching, after completing his M.S he worked as a lecturer at Primeasia & Southeast University in the year of 2013 & 2014 respectively. Finally he has joined in BUTex as a lecturer on July 14, 2015. Mr. Md. Hedayet Ullah has received his M.S degree in physics from University of Dhaka in 2009-10 session. He achieved 1st merit position in M.S. He has completed his B.S program from the same University with 2nd merit position in 2005-06 session. “Detection of trace amount of arsenic in groundwater by laser-induced breakdown spectroscopy and adsorption". Optics & laser Technology 56 (2014) 299-3, ELSEVIER. “Elemental profiling and identification of Eco-Toxic elements in agricultural soil by laser-induced breakdown spectroscopy.” Applied ecology & environmental sciences, 2013, vol.1, No.4, 41-44. M S Zobaer joined Bangladesh University of Textiles (BUTex), Dhaka, as Lecturer in Physics (at present, he is under study leave) on 07th April, 2013. Before joining BUTex, he was working as Research Assistant under Professor A A Mamun from Department of Physics, Jahangirnagar University, Savar, Dhaka, for research works on Theoretical Plasma Physics from July, 2012 to January, 2014. M S Zobaer also acted as Co-Superviosr for two MSc thesis students, named as Lutfun Nahar and Kamrun Nahar Mukta from Department of Physics, Jahangirnagar University, Savar, Dhaka, Bangladesh in 2013-2014. M S Zobaer got Best Poster award for his poster presentation in The National Conference on Physics for Technology Development, organized by Bangladesh Physical Society, at Atomic Energy Centre, Dhaka in 2012. Very recently, M S Zobaer has been awarded with two United Group Research Award, 2016, for his research papers (a) ‘K-dV and Burgers’ equations on DA waves with strongly coupled dusty plasma’ and (b) ‘Ion-acoustic K-dV and mK-dV solitons in a degenerate electron-ion dense plasma’ jointly with other co-authors. Human Visual System Related with Circadian Rhythm. Non-Image-Formation (NIF) with Different Light Wavelengths for Color vision. M S Zobaer is now under higher degree study leave to do his Doctor of Philosophy (PhD) under School of Physics, The University of Sydney, Sydney (Uni. Of Syd. ), Australia, from 1st Semester, 2014, with International Post-graduate Research scholarship (IPRS) and Australian Post-graduate Award (APA). His PhD topics are (i) different sleep stages of human and (ii) circadian rhythm for human sleep-wake cycle - related with Brain dynamics and Neurophysiology. From 2015, as a part of research in Uni. Of Syd., M S Zobaer is also working with Co-operative Research Centre (CRC) for Alertness, Safety, and Productivity, Australia with top-up scholarship. DIA solitary and shock waves in dusty multi-ion dense plasma with arbitrary charged dust. Nonlinear propagation of dust ion-acoustic waves in dusty multi-ion dense plasma. Nonlinear propagation of dust-ion-acoustic waves in a degenerate dense plasma. Solitary waves in unmagnetized collisionless four-component quantum dusty plasma. Ion-acoustic shock waves in a degenerate dense plasma. Compressive and rarefactive DIA solitary waves with degenerate electron-positron-ion plasma. Ion-acoustic K-dV and mK-dV solitons in a degenerate electron-ion dense plasma. The roles of dust grains on electrostatic IA shocks in highly nonlinear dense plasma with degenerate electrons. K-dV and Burgers' equations on DA waves with strongly coupled dusty plasma. Nonplanner waves with electronegative dusty plasma. Observing the effects of the Polarization Force in strongly coupled dusty plasmas with suprathermal electrons. Gardner SWs and DLs in Multi-ion Dusty Degenerate Dense Plasma. Dust Ion-acoustic K-dV and Modified K-dV solitons in a dusty degenerate dense plasma. SWs and DLs in IA solitary waves in e-p-i degenerate dense plasma. Shock waves and double layers in electron degenerate dense plasma with viscous ion fluids. Effects of polarization force and nonthermal ions on dust-acoustic (DA) shock waves in a strongly coupled dusty plasma with positively charged dust. Nonlinear propagation of es perturbation modes in degenerate plasma.